Did it! Feel great about it. Took me a couple hours, mostly trying to figure out what to remove and how to remove it. Would have been much quicker if I knew then what I’m now writing you. 1. Substantially more room in the Pet Carrier. 2. Allows gas system to breathe better. Whenever you remove the gas cap, you might notice a suction sound, making it tougher to remove the cap. This will solve that. 3. There’s a nasty sharp screw holding on the cover of the assembly. The tip juts out, waiting to cut into your hand if you touch it in the region between the pipe and the pet carrier underbelly (everyone should at least cap or remove this screw). Take off the big plastic cover inside the pet carrier and you’ll see the Evaporative Canister emissions system. There’s also a diagram describing the parts. What you need to know is that the bottom hose goes to the Manifold, normally has suction and needs to be plugged. The other (top) hose will smell of gas. This needs to vent. Add a filter here to protect it and stop the ability of an insect to crawl in, etc. It shouldn't normally ever have actual gas running through it. Both hoses lead into the area just under and to the right of the battery enclosure. That’s the area where you will do the operation. 1. A few Torx screwdrivers (6-point star-shaped tips). The largest one is a T-40, another 1 a couple sizes lower, and a 3rd a couple sizes lower than that. The tool kit in the bike does not have the T-40. See the attached photo, I got that sweet and useful multi-purpose set for about $17 at a Walmart. 2. A sharp knife, such as in the attached. 4. Socket wrench that fits the head of the bolt. 6. Optional: a couple rubber or plastic plugs (haven’t measured the size yet or bought them, might repost once I do). Hose clamps. 3.	black plate on the luggage rack, which you also need to remove. That is done by removing just 1 screw that is located underneath the rear part. 4. Underneath that, at the very back of the bike, there’s a part between the brake lights that snaps off (see pic). You’ll then see 1 bolt exposed that must be removed. 5. There’s a few screws on the side panel that need removing. One is on the tab near the top center. One is obvious toward the front. Open the passenger peg and the top-most screw (don’t drop the clip, which will probably fall out) also attaches to the side panel. 6. The panel should now wiggle out from the back, held on by the rear brake light cable. 7. 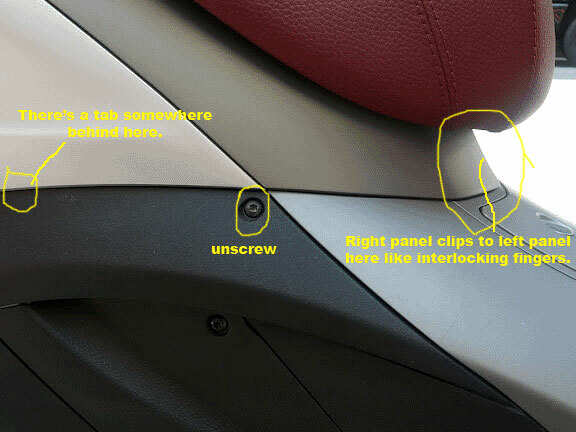 There will be a tab near the middle coming from an adjacent piece that juts into a clip on the panel. Nudge that out. 8. Last step is the very front: the right side panel does a handshake with the left side. Snap this out and the panel should be completely off. 9. I also removed the battery cover, but probably didn’t need to. Now the main venue is exposed (not quite as much as I’d like, but enough to do the job). Remove the plastic cover to the evap system if you haven’t already. Follow the bottom hose out to the region under the battery cover. You’ll see it conveniently clamped in place. Take the razor and cut straight and cleanly through this hose just after it emerges into the battery area, leaving at least an inch or 2 past the clip. Take the ¼” screw and drive it into the hose end. 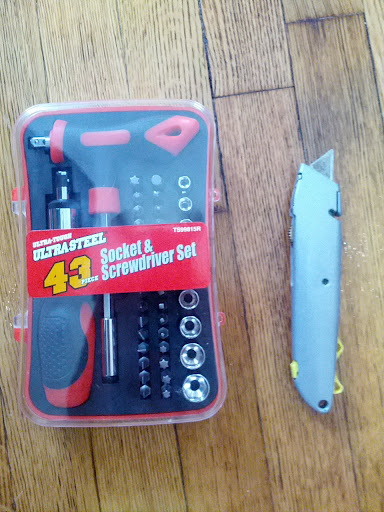 I couldn’t quite get a socket wrench to fit in the constricted area, but I took the socket itself (which came with the hardware set, pictured) placed it over the screw head and turned it with my fingers until it naturally and completely threaded its way to being closed. I could have secured it with a hose clamp but didn’t bother (it seemed perfectly tight). Cut through the end of the other tube. Insert the fuel filter into here by twisting it in as much as you can. Ensure that the filter is in the correct direction—there should be an arrow, have that point OUT of the hose. This should be clamped too (I didn’t bother). Zip tie this or tape this out of the way (I just let it hang). Now remove the steel evap system holder: there are 3 torx bolts holding it on, their heads should be exposed on the outside of the pet carrier. With those off, slide the 2 hoses out. You might save the 2 rubber rings that were around the hoses and keep them in place so you can plug them. The whole system will pull out cleanly, in one piece (pictured). Plug those 2 holes somehow (an auto parts store should carry something). Plug the 3 small holes now exposed from the metal clamp. Put all parts back on, in exact opposite order. Finished pic1: you can see the bolt end, the filter (this is a large one), and the open holes. Finished pic2: you can see the bolt end, the filter (this is a large one), and the open holes. good job. you need to put this into the wiki now. Instead of putting a filter on the vent tube and leaving it upright (?!!! ), why not make it the same as the RotW by extending the vent tube to well below the engine and just leaving it open? I'm not clear on where that hose is coming from where you put the filter. *Is it the hose that goes to the throttle body? *Or, is it the overflow hose? *If it is the overflow hose, you don't want to point it upright or restrict it with the filter since it can cause stalling or stuttering. You want to point it towards the ground. 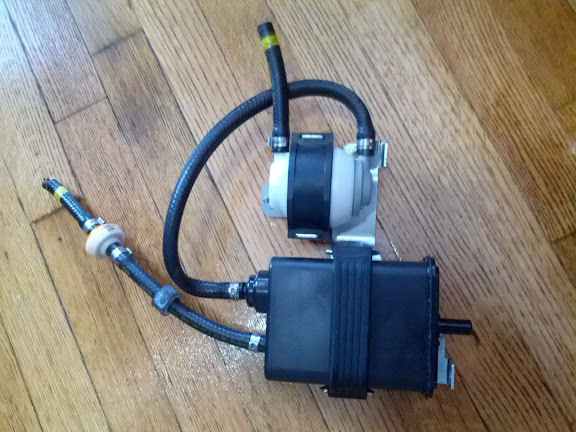 *If it is the hose that goes to the throttle body, you want to plug it. Did it! Feel great about it. Ah, fine - I suppose. Now moving beyond "feeling great about it" - does the bike run any differently? Well done, I have a few questions though. 1. Which states is this illegal to remove? 2. How would the authorities know that the removal was performed? 3. What would the consequences be for someone who did remove it? 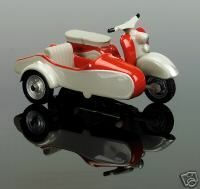 Just wanted to get some answers as a move to California is on the cards, and also the purchase of two of these scooters. I'm with jimc on the vent tube... I'm also wondering if the fuel filter won't, over a long period of time, become saturated with the fumes and be more susceptible to catching fire. Just a crazy thought. It's wonderments like that that wake me up at night. Personally, if I felt compelled to do this, it would be after the warranty was up...but thats just me. The extra room in the PC cant be worth throwing the remainder of an already shortish warranty out the window for? 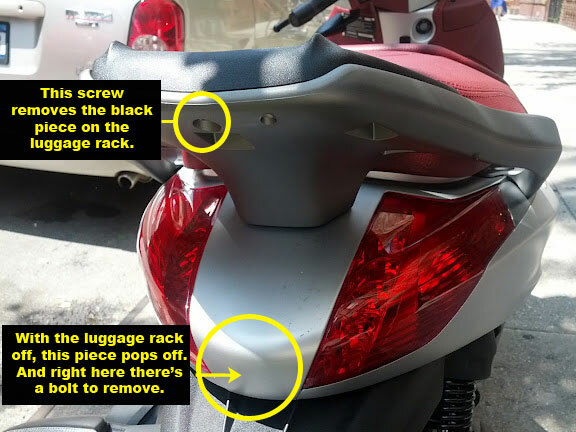 Especially since removing it is basically arbitrary at this point, since if there were a runability issue, it'd go back to the dealer....and of course they would expect the bike to be intact. I think, mostly based on what I have read here over the years, that California is the reason we have evap systems installed on all US bikes and as far as states go I think they may be the only one with the requirement. Not sure about the EPA. As far as how the authorities would detect it and what the consequences would be I don't know. Maybe some California people can answer this? Also, maybe one of the good dealers that frequent this forum can answer the warranty question. My owners manual specifically states that its a "Federal Offense" to remove or modify the EECS....that covers states other than California since these are 50 state scooters the devices come with all US market scooters. Old as Dirt: great. I'll take a look and see if I can figure out adding to the wiki. Dooglas: I can't tell a difference in how it rides now. And I don't see how this mod would change performance, unless the engine had become noticeably constricted, though I could easily be wrong. It is however extremely satisfying to be able to take off the gas cap without that sucking noise and feeling. And it seems like it's now easier to fill the tank. This and the extra pet carrier room makes me feel well worth having done this. RE THE UPRIGHT POSITIONING (jimc, XLR8, Scooter Cruiser): I hear you! My problem is I got a filter that was way too big and there's not much room in that space to manipulate things. I could redo this with a smaller filter and try to face the tube sideways; trying to actually bend it down might be tough though. Everyone w/ the MP3 mod seemed to have it point sideways. jimc: my understanding is this is NOT actually a tube on the RotW bikes: your bike doesn't have either of these 2 hoses at all, right? This is just a breather tube, although it's possible that extra drops of fuel could come out under certain circumstances (most likely when the bike is sitting idle after a fillup), which is what the charcoal canister is meant to catch. There is also a rollover valve for in case the bike flips over and gas comes through, but people had concluded in the MP3 postings that gas still wasn't going to ever actually come through. Actually, the proper way to do this mod is to plug the *origins* of both hoses down where they start. But this is tough to get access to, and hence why most people have done this with the general way I have. Yes the upright positioning is sub-optimal: you don't want rainwater to get in there. However that seems very unlikely given that this is totally covered. IF ANYONE THINKS I BETTER FIX THIS, DESPITE WHAT I'VE WRITTEN, PLEASE SAY SO! I don't at all claim to be an expert here, and my family will thank you! So, of course jimc is right as usual. One day after filling the tank and then parking shortly after, overnight, I noticed lots of yellow stains on the right side tupperware and residue on the black side vents. Gas had spewed out of that filter and went all over the place on 1 occasion! I drove 500 miles right after, and it didn't *seem to* happen again then. I today unscrewed the right side plate (down under the silver part, front right side of seat, just 1 screw holds it on), was able to grab the filter and hose. Pulled it out of that plate hole, tossed the (quite dirty and gas-stained) filter and replaced it with a better quality, lower-flow, smaller filter. Took a 10" hose and added that to the tip of the filter. Threaded it between some tubes and the chassis located on the right side bottom of the bike, and pointed it DOWN to the ground, ending a couple inches below the body. I then filled the tank all the way up, drove 15 miles home and parked the bike. Checked the end of the hose... it was a bit wet with fuel. Based on the MP3 threads on this mod, folks said that it would be pretty rare for any gas to ever come out of this tube, filtered or not, even if the bike were upside down. ?? What's the point really? I mean, these bikes are tuned for this stuff and I thought the BV350 was a great bike to begin with? If the gas level is anywhere near the overflow tube that comes off of the filler neck then gas sloshes into the overflow tube and down the hose. That's why it needs to be pointed downward. If you had kept it pointed upwards, the tank would not vent well and you could have stuttering, stalling, poor running conditions. The trick is to NOT fill the tank too high so as to avert fuel from running out of the overflow hose. Before you removed the Evap system, the overflow fuel would run into the canister and eventually saturate the canister which could cause stuttering, stalling, etc. 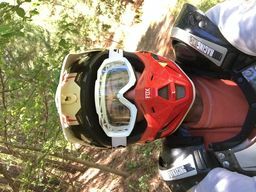 The evap systems on scooters and motorcycles are not designed well and this is a common problem among other brands too. But I thought that this is NOT the overflow tube (can anyone confirm?) 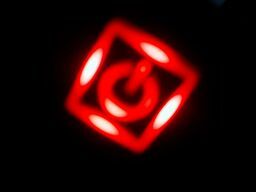 -- RotW models don't even have this tube. There's a little pin hole next to the gas cap and when i overfill the tank, gas drains through there and there's quickly a little puddle under the bike. that's separate from what i'm talking about. Supposedly, if you remove most evap cans and were to open them up, most will be dry and clean since fuel almost never goes in there. Maybe that notion was wrong. Ha I missed this. Yeah I am sure it does. You go California. Kidding. I really don't give a crap what the manual says as it is probably not enforceable anyway. Catch me if you can feds. The added on evap system seems to be ill designed and very questionable on its overall impact on the total emissions of this country. What I am curious about is why some people always ask in any evap removal thread in a borderline snarky way if the person noticed any improvement in performance when in most cases the person doing the removal is doing it to prevent future possible problems that could leave them stranded and not for performance gains. - The manufacturer is required by law to deliver the bike with EPA-compliant equipment to US dealers*. And the dealer is required either by law or by Piaggio to deliver such a system on any NEW bike to a customer. But there's no laws beyond that, applied to a private owner or a dealer selling a used bike, etc. It is exactly like those tags you find on pillows, "do not remove, under penalty of law"-- they are not talking to you. - Furthermore, I know from personal experience that neither California nor New York check for this system as part of their safety or smog inspections. Those are 2 main states that require annual motorcycle inspections, many other states don't even consider a scooter a "motorcycle" (NJ just stopped its motorcycle inspection requirement). - Warranty could possibly be an issue, low probability. A dealer I talked with today said that if I did develop a problem directly related to fuel delivery, he might have a tough time putting in the warranty claim to Piaggio, as he might be compelled to divulge that I'd altered something related to the total fuel system. He said it wouldn't matter at all for anything else. PS: did I mention that gaining that substantial extra PC space is wonderful? *actually, some of the requirements are only required for bikes destined for California, and the manufacturer simply chooses to just make all US-bound bikes satisfy that requirement since it's cheaper than maintaining 2 different types for each US model. Texas requires a yearly inspection but the emmissions system isn't one of the inspected parts. They check brakes, lights, horn and signals. The dealer in Colorado is the one who removed the evap system from one of our BVs because the scoot was getting too much back pressure. He left the canister in the pet carrier just disconnected with the hose pointed down. I used what he did as my guide to removing the evap from the other BV. I've still got it installed in the Scarabeo and GTS. One of these days I may remove those as well but it hasn't been a priority issue. It is my understanding that only California and New York mandate the evap system but it is simpler for Piaggio to put it on all the bikes they bring into the US than to try and segregate out for those two states. If you aren't in one of those states the analogy to the do not remove fiber content tag on mattresses is a good one. 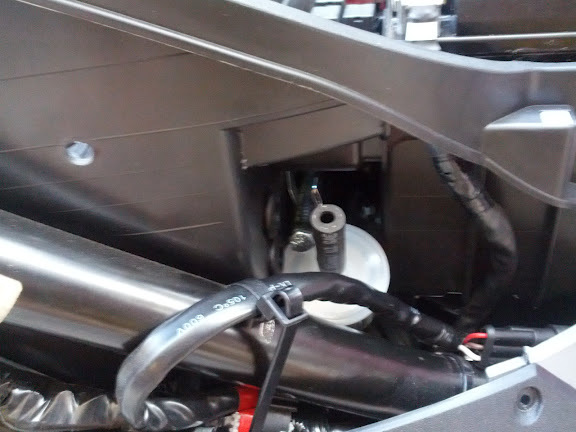 Unless they've changed the design on the 350, the little hole is for any spilled gas that may collect around the filler neck but there is a tube that projects off of the filler neck (probably below where you can see it) and that line runs to the charcoal canister. That's the line that you disconnected and hooked your filter to. Now, if they've changed the design from every Evap system that I've removed from BMW's, Moto Guzzi's and other Piaggio products, I stand corrected............but it's probably the overflow tube that's been on all of their other products. 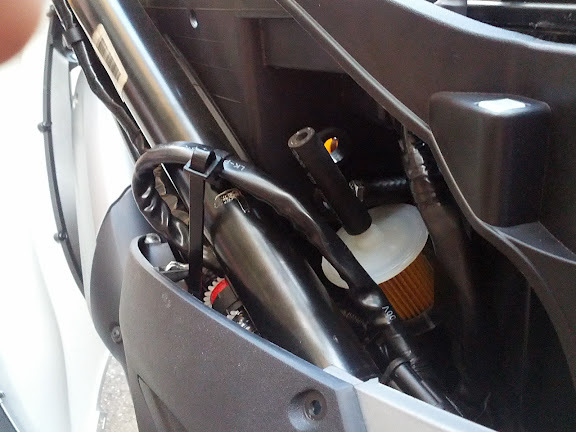 As mentioned, the filter hose now points down to the ground, ending below the bike. Each time I ride, if I touch the tip of the hose, there is a few drops of gas on my finger. Doesn't seem to matter if the tank is overly full or empty-- the tank is nearly empty now and I just rode a few miles, got off the bike and experienced this. I thought that gas should almost never come out of there, so I'm confused. Anything to worry about? Should I undo this whole project?? The added on evap system seems to be ill designed and very questionable on its overall impact on the total emissions of this country. Really? Do you have any peer reviewed reports to back that up? Here is what I have noticed. 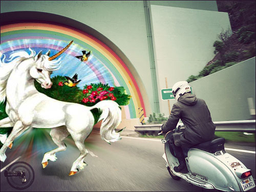 No matter what the scooter or motorcycle if it is has an Onboard Vapor Recover System (OBVR) that system will be immediately tagged as ill designed by the "experts". Why? Because it is an Onboard Vapor Recover System and once upon a time it cased a problem on some make or model of scooter / motorcycle somewhere. What I am curious about is why some people always ask in any evap removal thread in a borderline snarky way if the person noticed any improvement in performance when in most cases the person doing the removal is doing it to prevent future possible problems that could leave them stranded and not for performance gains. Simply put because air pollution like global warming is real. Some people don't buy the "I am only incrementally making the problem worse by a tiny amount by removing this." argument. I have lived long enough to have heard similar arguments about every method pollution control ever added to a motor vehicle. For instance air pumps used to inject air into the exhaust manifold near the exhaust valves (the additional oxygen allowed any unburnt fuel to completely burn) "Robs me of 1/2 horse power and reduces my gas milage by 2%". "The catalytic convertor causes too much back pressure and reduces my engines efficiency", etc, etc, etc ... And yet we have more people driving in the USA today and cleaner air then we did back in the seventies. If this is a government conspiracy, then I think I can live with it. <- (Note to reader) Should be considered as "ironic hyperbole" and not a "political statement" of any sort. Do you want an easy fix? You removed three components, 1) the carbon canister, 2) the roll over valve, and 3) A safety check valve. The purpose of the check valve is allow your tank to pressurize. Yes your tank and fuel pump are designed to operate under pressures greater than atmospheric. Earlier you stated your belief that the tank was under a vacuum and the cap was hard to get off, unless there was a defective part in system that was just not the case. More likely the tank was under pressure and the cap was hard to get off. If you study the tank design you will notice that it is possible to fill the tank to a level higher than the vent line. You will have also noticed that cap is not vented. Now when you seal the tank and the fuel starts vaporizing, the vapor will collect under the cap however, the vapor is using some of the tank's volume. Well the tank is not getting bigger and if the vent line is submerged the liquid fuel will need to go somewhere. So instead of the vapor going up the vent line, raw fuel fuel goes up instead and that is why you have a raw fuel leak even though the vent opening is higher than the tank. The easy fix? put the check value back on. NOTE: orientation matters, do not install it backwards. Now your tank will pressurize. As vapor collects under the cap it will still push the raw fuel up the vent line, however, there is a bolus fuel vapor trapped in the vent line now. As the raw fuel rises in vent line it will compress the trapped vapor. Once the vapor pressure in the vent line equals the vapor pressure in the tank the fuel will stop rising in the vent line. Or the ultimate simple fix. Plug the vent line completely and drill a "very" small hole in the gas cap. You could even add something inside the cap if you are worried about "slosh leakage". Nope nothing peer reviewed. Just my experience with the two I have encountered so far on Piaggio scooters. Both ran better after removal especially the 250 and no more pressure in the tank. Fair question though. And if I had confidence that the system was doing its job and not causing issues or possibly causing issues that could leave me stranded I would leave it alone. I am curious about one thing though. If the tank is designed to run pressurized the how do the bikes delivered to Europe that don't have the system and I am assuming are vented compensate for this? Is pressure necessary? I ask because it was the pressure in the tank that was a big factor in my decision to remove the system (the rollover valve was causing the problem or so I thought it was a problem). Was I wrong? Guess I don't get the rollover valve functionality. It would seem that if vapors are being sucked off the vent tube, through the rollover valve, through the canister and then back it would seem contrary that the rollover valve would cause pressure in the tank and would only block the vent in case of a drop. Another thought on this is if the system is designed to be pressurized wouldn't the vapors that blow out of the cap when refueling kind of negate or reduce the effectiveness of the system and its intended purpose? I am curious about one thing though. If the tank is designed to run pressurized the how do the bikes delivered to Europe that don't have the system and I am assuming are vented compensate for this? The simple answer is that the only requirement for fuel delivery is that the fuel be delivered to the injector at about ~36 psi and in sufficient quantity (~440 cm3 per minute)(250 cc reference motor) . The key here is 36 psi above current atmospheric pressure. i.e. 36 psi at sea level, 36 psi in Denver and 36 psi on top of Monarch pass, when measured using a traditional PSIG pressure gauge. The fuel pressure regulator is built into the return line port of the fuel pump. Without going to a long winded description how pressure regulators work, suffice it to say they must regulate the pressure relative some reference value in this case atmospheric pressure. Simply put the reference (dry) side of the pressure regulator is not vented to the inside the fuel tank. If it were then as the tank pressure went up so would the relative pressure delivered to the injector. Because the reference value comes from outside the tank, the internal tank pressure becomes irrelevant. Having said that it should become apparent that if the tank pressure was 30 psi (not even remotely possible), then the fuel pump would be greatly off loaded as it would only need to boost the fuel pressure by 6 psi relative to the outside pressure. Really? 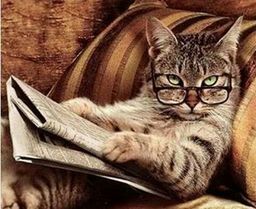 Do you have any peer reviewed reports to back that up? Certainly, I don't have any. Out of sheer curiosity, not snarkiness, do you have any peer reviewed reports to back up your contentions? Specifically, The total impact of modern scooters with intact evap systems on the environment as opposed to those scooters who have had their system removed? The number of people who reflexively remove their systems because of the number of experts on the internet who tell them to? I'll put the results of my personal experience into the mix. 1.My scoot started running badly. Dangerously badly. Choking and sometimes even stalling at intersections. 2.I heard on the net, where everything is true, that the problem could be caused by the evap system and disconnecting it might be the solution. 3.They were right. Problem solved immediately, never looked back. 1. The evap system is badly designed enough to impair the safe operation of my vehicle. 2. If my scooter became involved in an accident because I didn't want to remove the evap system regardless of the evidence staring me in the face, I wouldn't buy another one and end up driving the car instead, which, depending on conflicting reports, is less environmentally friendly than my scooter. Summary: I wouldn't have removed the evap system if it didn't cause me some grief. Absolutely not scientific. But from my POV, not stupid either. My evap was removed by the dealer after problems with the bike running at freeway speeds - this was on one of our BV 500s. When we'd been riding for 30+ miles of varying elevations when you'd go to fill up the tank the gas cap would "fly" up 6-18" from the pressure build up. After removal of the evap no more problems with pressure or with reaching/maintaining freeways speeds even at elevation. Other than the BVs each of our other scoots still have their evap systems. Re the safety check valve, I assume you mean replace the filter I put on, with this? That valve was attached to the tube going to the manifold, not the fuel tube, so I think that's what you meant rather than literally "put it back on"? How will that valve perform differently from the filter? Rewind, Yes the check valve was attached to the tube going to the manifold, and by fuel tube I assume you mean vent from the tank? In any case YES the check value was attached to that as well. Just because there was a carbon canister and rollover valve in line before you got there dose not mean it was not attached to the vent. What I am suggesting is that instead of making the filter the last item on your new vent line, you add back on the Check Valve and make that the last item. The filter does not allow the tank to pressurize the Check valve once installed will. I suppose it depends on how "old school" you want to go. Most folks will tell that they once owned a motorcycle where the fuel tank vented through the gas cap. This was pretty much the case until vapor recovery systems were mandated. However the fuel caps did get more sophisticated over time. Pretty basic, the tank could vent in both direction freely but the design does allow for some slosh leakage prevention. Here is the more modern incantation. 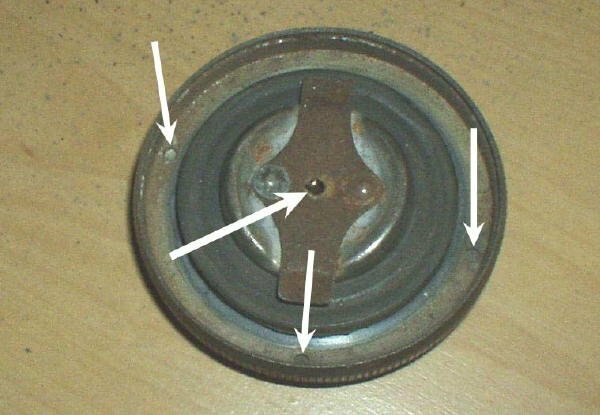 This cap was designed to let air into the tank should the tank's internal pressure be less the outside pressure and only allow the tank to vent to the atmosphere if the internal pressure went above some nominal safety value. Because this cap did not allow the tank to "breath" it also limited the amount moisture that could be absorbed from the environment. So if you go the hole in the cap method without some form of slosh leakage prevention you are going really old school. ScootChef uses the "hole in the cap method" because she uses the traditional vent line as an Aux tank feed line. When the main tank gets low she flips a valve and the aux tank feeds into the main via the re-purposed vent line. However if she overfills the main tank from the aux tank, the hole in the gas cap allows the fuel to exit the main tank and fill her pet carrier. Okay back to your original question, that little safety check valve thing you removed is equivalent to the guts of the second cap in this post. It lets air into the tank when needed, otherwise it traps pressure (vapor) in the tank unless it reaches an unsafe level. Before or after the new filter added? It does not really make a difference. I might point out fuel tank vents for year and years operated just fine with any filter at all, but what the heck you got one now. And sorry this repetition, DO NOT install the check valve BACKWARDS. Notice the white side goes towards the tank, the orange-ish colored side goes to the atmosphere. Don't get me wrong, I whole heartily agree that some evap systems are poorly designed and may cause so many issues that removal is the only way to obtain reliability. I just wont condemn them all because of issue with a particular make or model. That being said when was the last time you ever heard of a Vespa shop mechanic saying "Humm that sounds like a problem with the evap system, lets see if the check valve is frozen, or if the carbon canister is saturated". None, in fact evap trouble shooting is a lot like Gary Larson's comic on equine medicine. Potential service issue: remove evap. Try finding the part number for any component in the evap system or trouble shooting instruction for the evap system in any Piaggio, Vespa, Aprilla manual. I've long had a working hypothesis that problems with the evap system only show up on bikes where the tank is higher than the evap system. Hmm, given the location of the evap on my BV 500 I'd say that the evap system is higher than the tank. I haven't had problems attributed to the evap system in any of the other scoots. 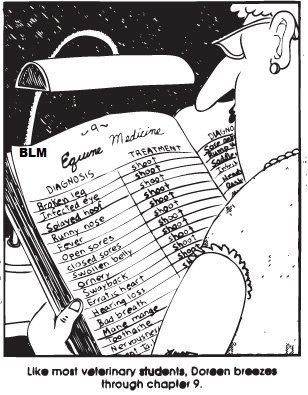 ...trouble shooting is a lot like Gary Larson's comic on equine medicine. On the way to the health club a couple of days ago, I looked at the speedometer and saw that I was zipping along at 0 MPH and adding exactly 0 miles to the odometer. It looks like I need to replace the speedo cable. But a bullet would be cheaper. I don't think that is going to happen. The percolation system is mandated by Americans. Putting it up in a wiki would be asking for trouble. No, it is mandated by California and New York which references the California emmissions code in theirs. Other states like Texas and Colorado (most of the US actually) do not require the evap system. The analogy someone used to the mattress tag that says you can't remove it is more accurate. The end purchaser can remove the tag if they choose but it has to be sold with the tag intact. And this is an *owners/end-users* forum. If we are free to remove the "tag", then we can certainly put this mod on a wiki here (there already is at least 1 on the wiki, btw). If this were a dealers' or manufacturers forum, it would be a different story. @Maroy: THANKS a ton for detailing out the suggestions. Re the cause/concept, here's what I still don't get: I rode starting with the tank so low that the yellow light was on, rode 5 miles, stopped and checked the bike and there were a few drops coming out of that hose, and the "warped air" look if you viewed the tube end in the sun. A few hours later I filled the tank, drove back the 5 miles, and there were NO drops. Temperature was high 70s all day. I'm just not understanding this expansion/venting behavior. To everyone else, re "why do it": I GET A SUBSTANTIAL INCREASE IN PET CARRIER STORAGE. That's a big deal for me. The other benefits aren't anything major. In m my little neurotic and paranoid world everything is somehow connected. What symptoms made you want to remove this on your BV 350? Was it an engine sputtering issue?